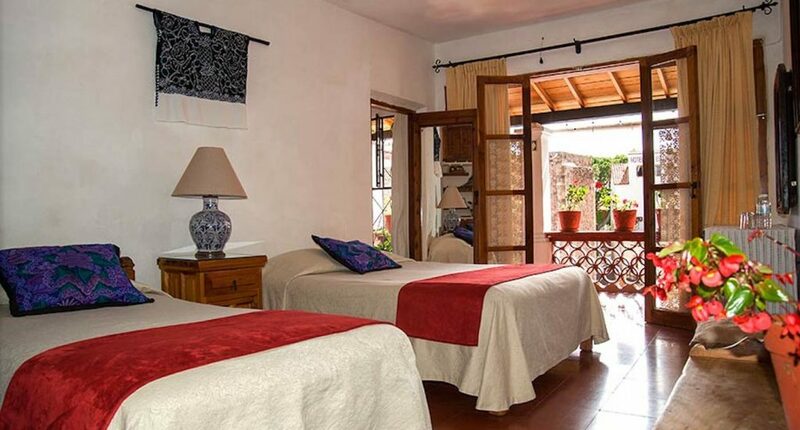 Hotel Mi Casita offers 11 guest rooms distributed on 3 floors of the main house, and a one bedroom guesthouse. 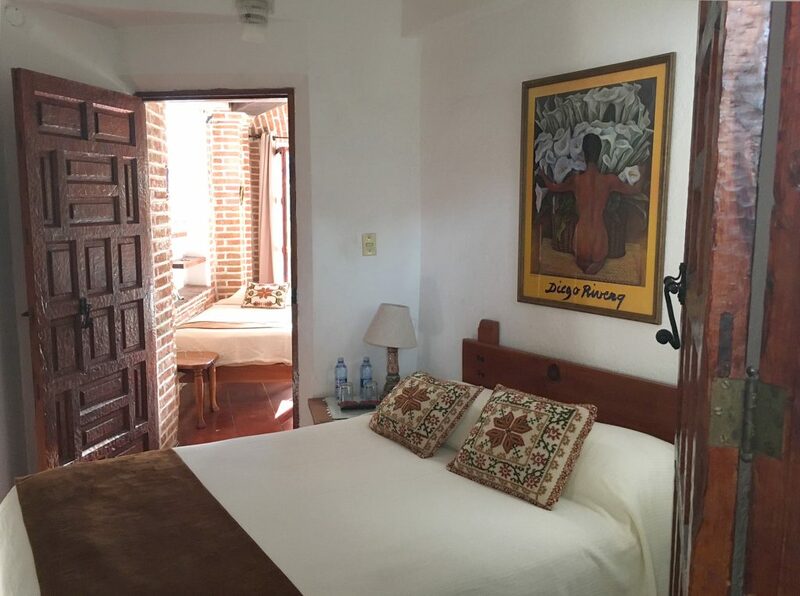 Each room is individually decorated with Colonial Mexican-style furniture and furnishings, private bathroom decorated with ‘talavera’ tiles, flat screen TV, private bathroom, & free WI-FI. The Top Floor Suites are decorated with authentic colonial furniture, offering, king and or queen size beds, a private bathroom decorated with antique Talavera tiles. It’s own private terrace with a splendid view of the city and Santa Prisca church. The main floor rooms offer queen size beds, private bathroom decorated with antique Talavera tiles. Next to the lobby, and dining room, they all share a terrace with a splendid view of the city and Santa Prisca church. 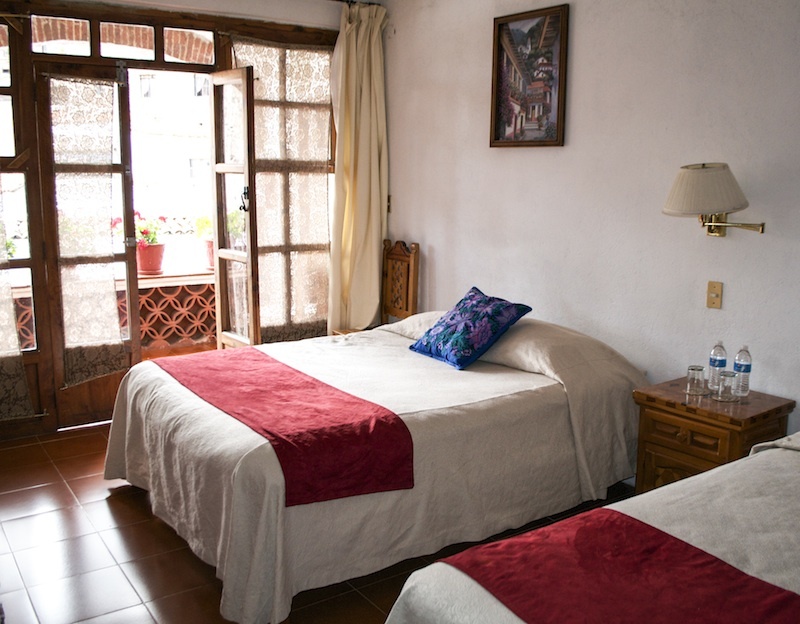 The ground floor rooms offer queen size beds, private bathroom decorated with antique Talavera tiles. 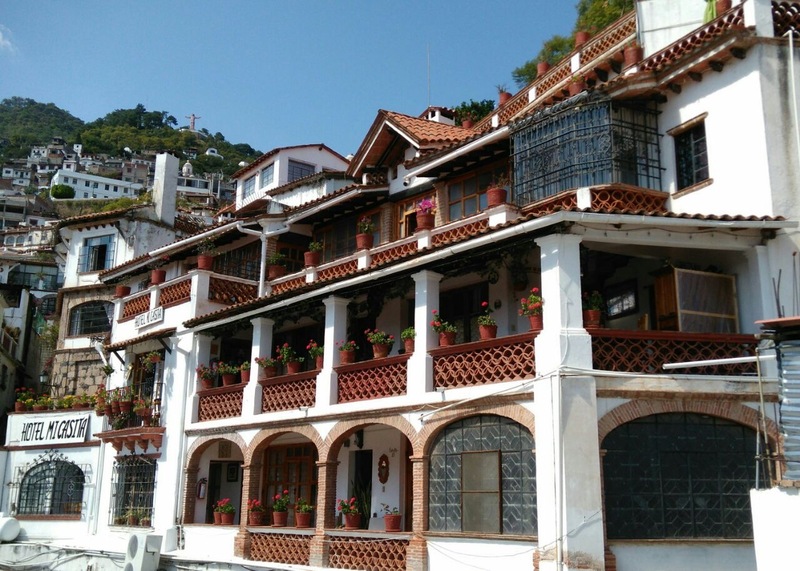 They all shared a terrace with a splendid view of the city and Santa Prisca church.. 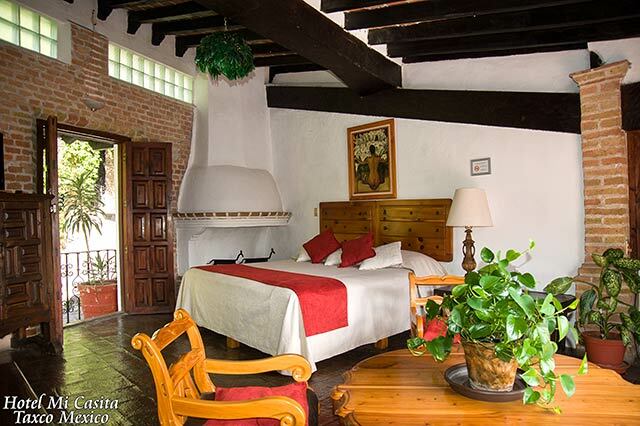 This colonial style guest house offers a queen size bed, and a private bathroom decorated with antique Talavera tiles. The living room has 2 individual beds, a small kitchen, balcony, and a private terrace with a splendid view of the city and Santa Prisca church..